If you need to significantly expand the storage capacity of your desktop computer, your NAS server or your home surveillance server, Seagate has a drive for you. Today Seagate announced three new 10TB hard drives: The Barracuda Pro, The IronWolf and The SkyHawk. All of these hard drives are from the new Guadian series. These are all part of the largest capacity consumer grade hard drives now on the market. Seagate reports that the Barracuda Pro 10TB desktop drive has excellent performance with a rotational speed of 7,200RPM and comes with a full five-year warranty. 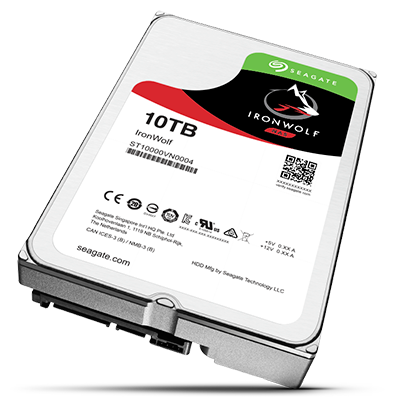 The IronWolf 10TB drive is intended for use in your server with features to make it well suited for the always on Network Attached Storage (NAS), and is tough and ready. 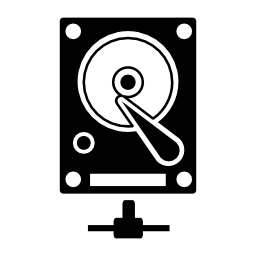 This drive is specifically for network attached storage (NAS) servers . This drive comes with rotational vibration (RV) sensors to reduce vibration that can occur in multi-drive systems, systems using RAID and systems with power-saving features. 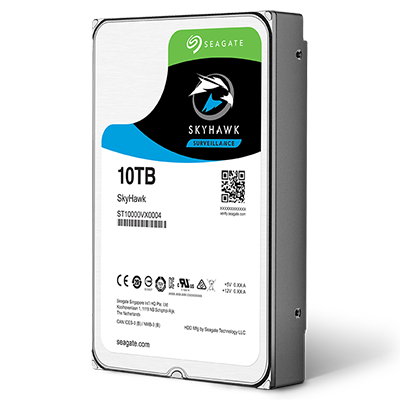 The third drive in the family is the SkyHawk 10TB Surveillance drive and is very similar to the IronWolf, and is optimized for use with surveillance systems that are constantly recording motion and camera activity. This drive is optimized to support recording from multiple high-resolution cameras simultaneously. These drives have the standard 3.5-inch format and fully support the latest SATA 3, delivering up to 6Gbps. Suggested retail prices are $535, and $470 for The Barracuda Pro and the IronWolf respectively and are available now. The SkyHawk will retail for $459.99 and will be released later this year. Get one of these, and you will have the largest hard drive on the block!